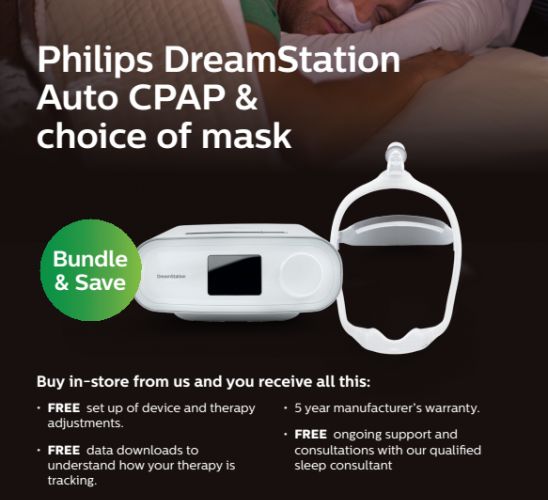 Amcal have a deal on their sleep machine masks where you get to save $650! - your choice of mask. - free device set up and therapy adjustments. - free data downloads to understand how your therapy is tracking. - free ongoing support and consultations with our qualified sleep consultant. Buy in-store at Amcal Bowral. Deals are limited to 1 deal per person. The promotional value of this deal expires in 1 month. Deal must be presented in order to receive discount. This deal is not valid for cash back, can only be used once. This deal can not be used in conjunction with any other offer.